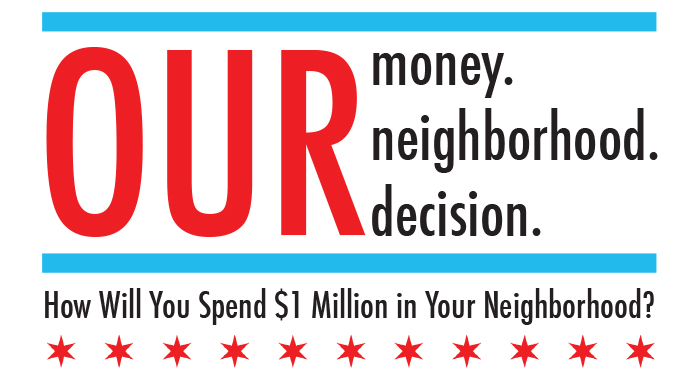 We are pleased to announce that the Chicago Community Trust has renewed their support for the Participatory Budgeting Chicago initiative for the 2013-2014 cycle. Generous seed funding from the Chicago Community Trust was instrumental in the multi-ward 2012-2013 pilot year, which engaged a diverse cross-section of the Chicago community. The continuation grant of $25,000 will be used to deepen the initiative’s reach and expand to an additional ward (Alderman Munoz’s 22nd Ward; Little Village) —and increase our efforts to engage low-income people of color. Chicago residents demonstrated incredible enthusiasm and commitment during this past year’s PB process. In the next year, we will build on this strong foundation to grow PB within the existing wards and expand it throughout the city. The Great Cities Institute is grateful for the generous support of the Chicago Community Trust and we look forward to another successful year for PB Chicago.